Grace Beshlian's save with under eight minutes left kept No.3 Wantagh ahead by one in its 8-7 win over No. 2 Garden City in a Nassau girls lacrosse Class B semifinal on Wednesday. Beshlian made eight saves. Nikki Sliwak scored four goals and Taylor Carson had a goal and two assists. Wantagh (16-2) will face No. 1 Manhasset in the final at 8:30 p.m. Wednesday at Adelphi. 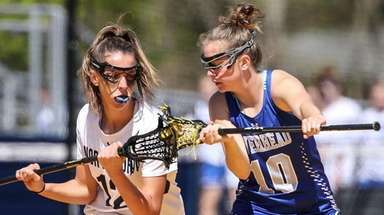 Eastport-South Manor 7, Sayville 6: Kaitlyn Dowsett, Kaeli Huff and Kelsey Huff each had two goals for No. 3 Eastport-South Manor in its Suffolk Class B semifinal win over No. 2 Sayville. Samantha Giacolone added 10 saves. Eastport-South Manor (13-3) plays No. 1 Hauppauge in the final at 8 p.m. Tuesday at Dowling College. 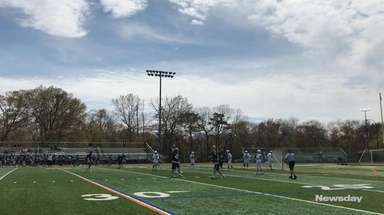 Mount Sinai 9, Mattituck 5: Kasey Mitchell had five goals, one assist and nine draw controls to lead No. 1 Mount Sinai past No. 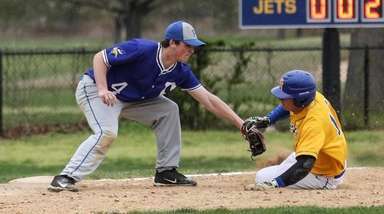 4 Mattituck in a Suffolk Class C semifinal. Sydney Pirreca added two goals and one assist. 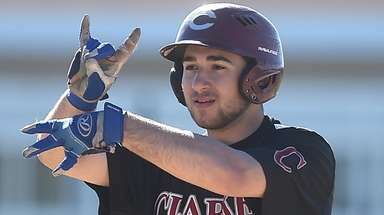 Mount Sinai (16-1) plays No. 2 Bayport-Blue Point in the final at 5:30 p.m. Tuesday at Dowling College. Mineola 11, Locust Valley 5: John Clancy had 11 saves to lead No. 3 Mineola (14-3) past No. 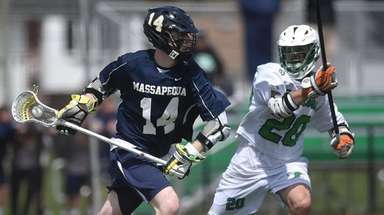 2 Locust Valley in a Nassau Class C semifinal. Brian Smith had four goals and one assist. Mineola will play No. 1 Cold Spring Harbor at Hofstra at 3:30 p.m. Tuesday.